Brad lovingly admires and caresses his bike after coming home safely from a 6000Km ride to Vegas, California and back. Brad and his brother, Trace, took two Triumph bikes through rain, snow and desert over 9 days of riding. 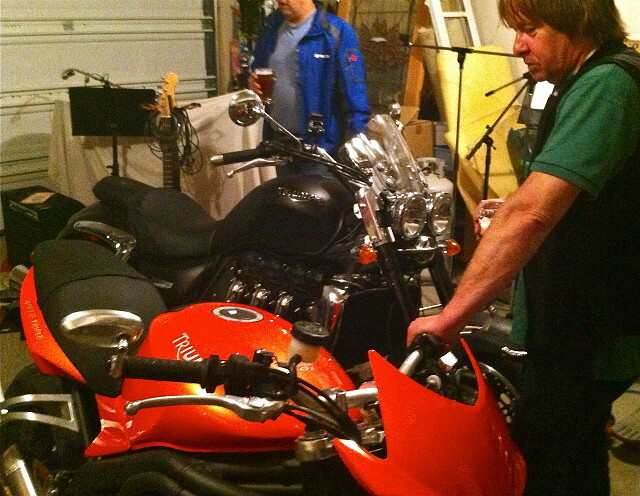 After arriving home today, they spent the rest of the evening carefully cleaning the Rocket and the orange bike in the garage while drinking Brew Brothers Ambush ale, a beer that Brad brews in his own brewery.